This week we traveled west to the Kansai region and experienced a more traditional side of Japanese culture than the bustling life of the ultimate metropolis, Tokyo. 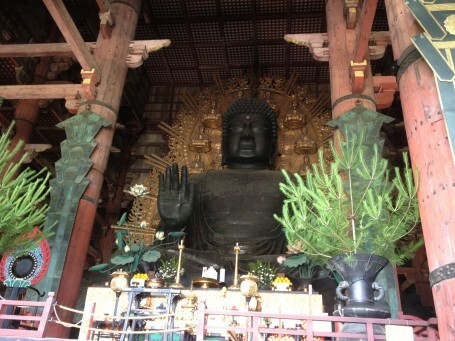 The group departed for Kyoto early Monday morning, but David and I were already in Kansai having taken advantage of the seven-day rail pass in order to travel to Kobe and Osaka. Sally Kim visited a friend in Osaka, and John went back to Tohoku, where he had lived for a few months in high school. 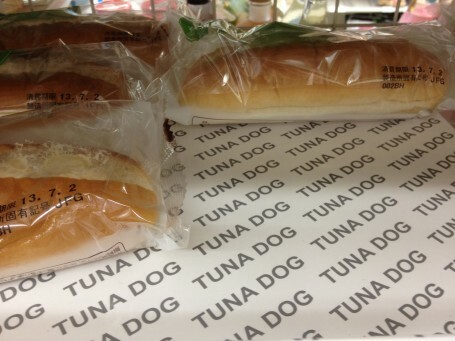 Tsuna Doggu is part of any balanced Japanese meal. We all converged at Kyoto Station at lunch time on Monday without much trouble, and everyone found food quickly before we boarded a bus to Nara. I was pleasantly surprised by the serious supply of my favorite convenience store food, Tuna Dog, at the Family Mart in Kyoto Station. 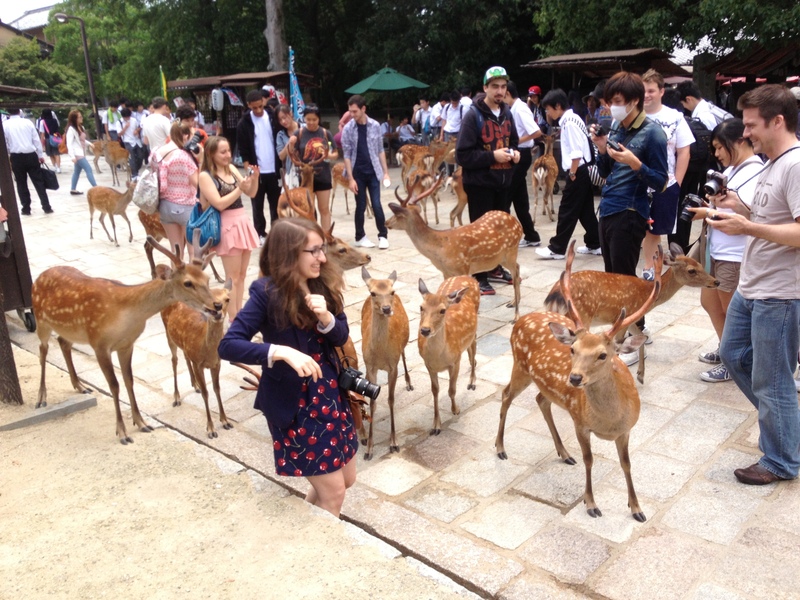 In Nara, there were a lot of deer in the area surrounding the temples we visited, and constantly being fed by humans had made them a little bit naughty. It was, for the most part, fun to feed and play with the deer, but their aggressive behavior was also somewhat disconcerting, as Olga soon found out. The number of temples that we visited in Nara and Kyoto almost felt limitless. The history of the area is so vast that we barely scratched the surface in the few days of our visit, but being able to see and touch these places was just amazing. 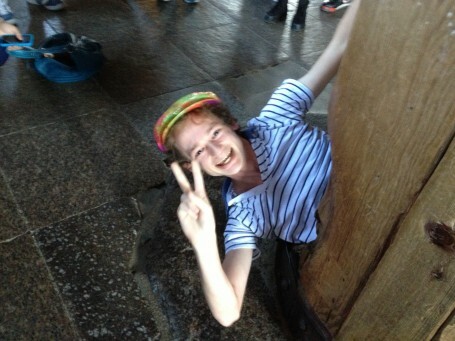 Even though these temples are serious historical and religious sites, the spirit of lighthearted fun and kawaii that is ever-present in Japanese culture allowed us to take turns crawling through this pillar and taking pictures. 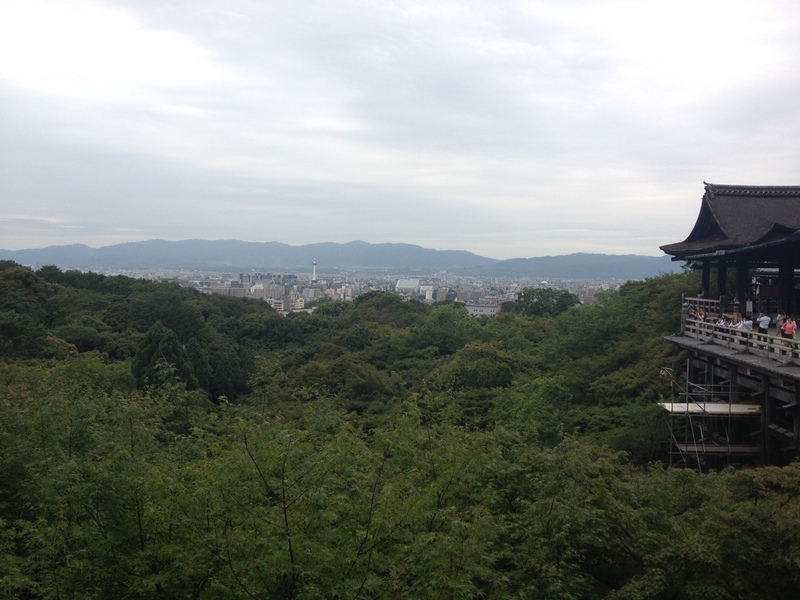 I’m a big fan of samurai movies, so I really enjoyed the aspects of Kyoto that related to the history of the ancient warriors. In Nara, while we were walking between temples, there were a lot of souvenir stores, and one had a kabuto helmet with antlers on it. 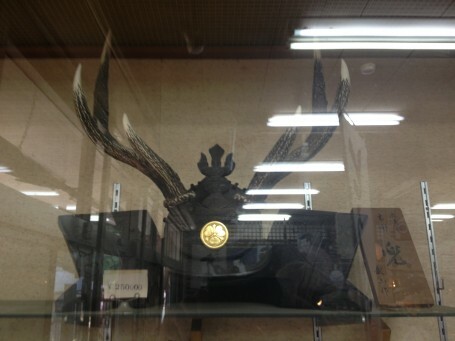 The antlers would allow samurai from Nara to gore their enemies, which can come in pretty handy during a battle. 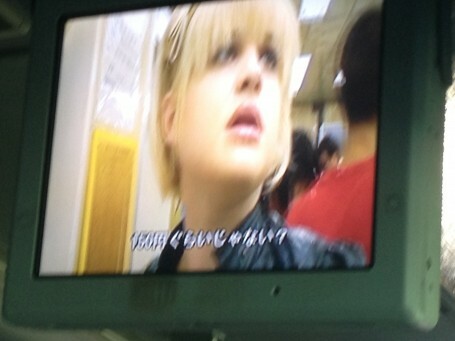 On the way back to Kyoto, the tour guide, Masako, put on a video of a reality show starring Kelly Osbourne experiencing Japanese culture. The show basically involved her doing different jobs in Japan including a maid cafe hostess, a love hotel concierge, and a traditional samurai dancer. Kelly’s confusion, as seen in the picture, was her most prominent response, followed closely by vulgarity. The reactions among our group were a mix of laughter, disgust, and sleep. On Tuesday, we spent all day visiting different landmarks in Kyoto, and we started with Kiyomizu Temple. The tour guide assured us that while over a hundred people have tried to commit suicide by jumping off the ledge at this temple, eighty-five percent have survived. 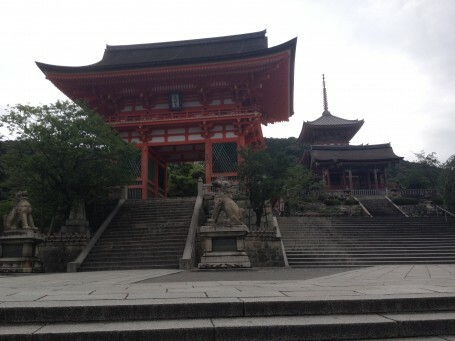 Kiyomizu Temple is also known for its pure, magical water, and after having drunk it, I can proudly say that I am now immortal, so that’s one less thing for me to worry about. 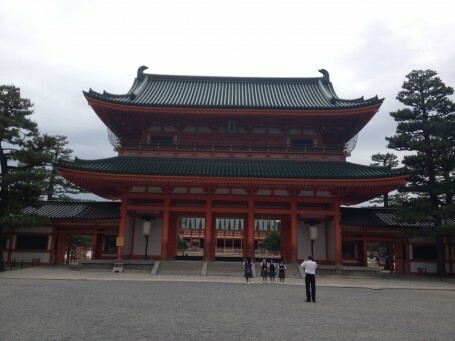 John’s excellent observation skills prompted him to ask about why some shrines are more red and others more orange, and Masako told us that the red color came to Japan as a Chinese tradition and that the orange coloring is of Japanese origin. Wandering around for a bit after lunch, Lawrence and I found this sign. 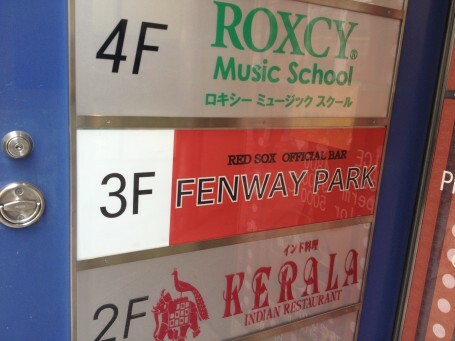 I’m from Boston so the existence of this bar made me feel right at home in Kyoto. Kinkaku “Golden Pavilion” Temple was one of the more impressive places we visited because it’s covered in gold. 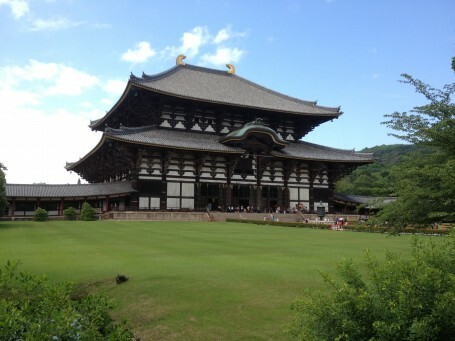 This temple is a great example of the kind of fantastic spectacle that only ancient feudal rule could accomplish. It was also very nice to stroll through the beautiful nature surrounding the temple. 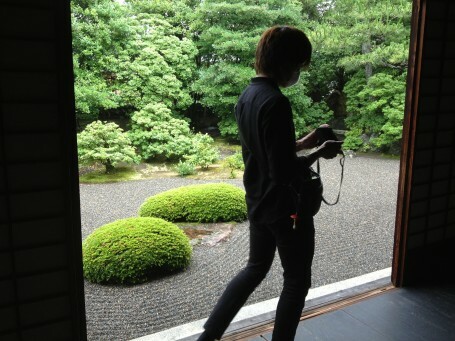 Matt enjoys his camera while garden-gazing. 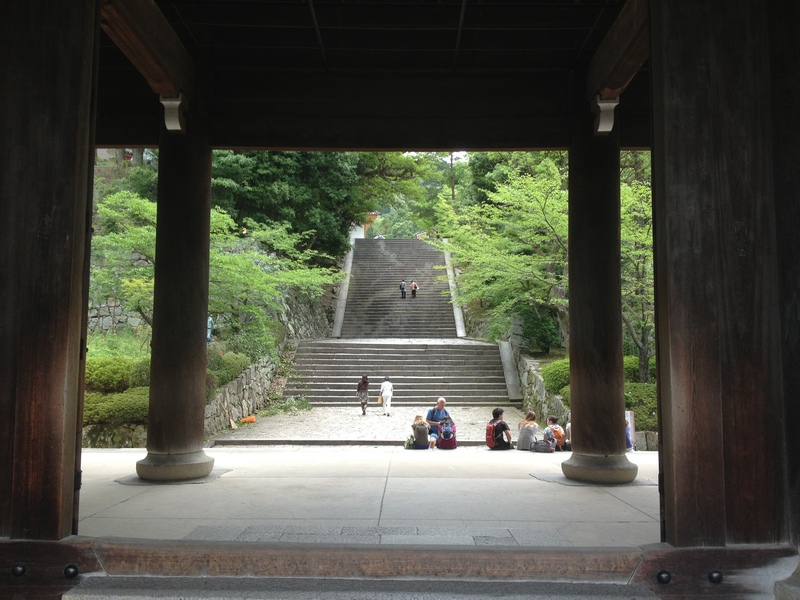 On Thursday, we meditated at Shunkoin Temple, and then learned about some of the unique aspects of the Japanese art in the temple. 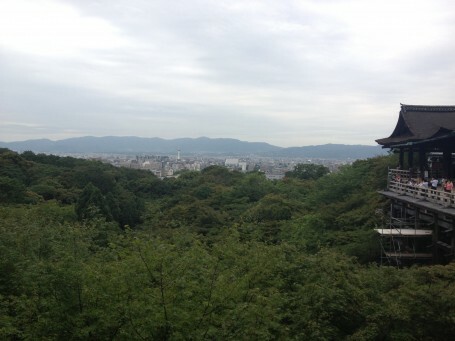 The meditation master told us that zen gardens have no center, unlike western gardens, so that they can be appreciated from any vantage point. 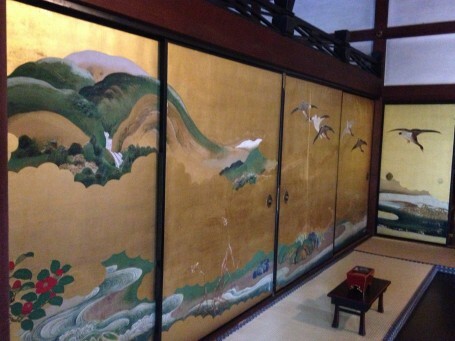 He also said that in Japanese screen paintings, the focus is on the bottom because people used to always sit on the floor, whereas in Western art, the subject is usually in the upper part of the painting. 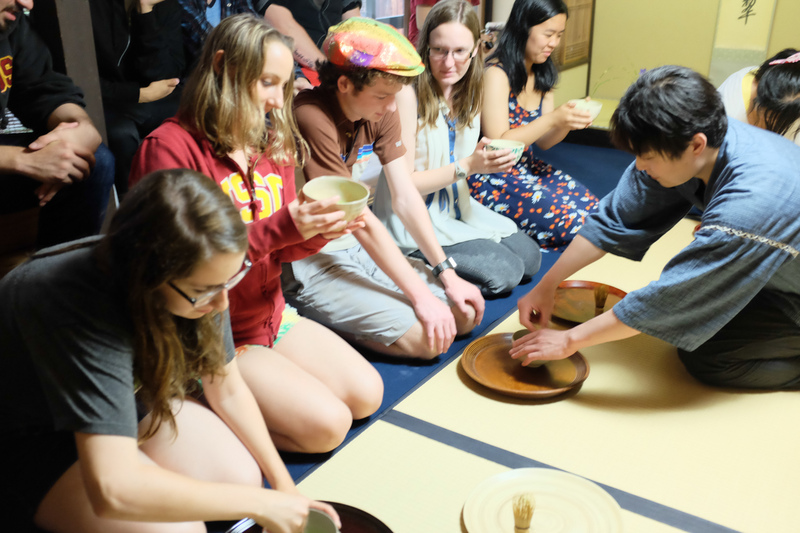 We attended a tea ceremony for a fitting end to our time in Kyoto. Green tea has an 800-year history in the city, and the ritual involves a lot of honoring each other. Each person asks permission from their neighbors to begin drinking. The matcha tea was itself fairly bitter, but after the ceremony, we went downstairs and had matcha candy and ice cream. 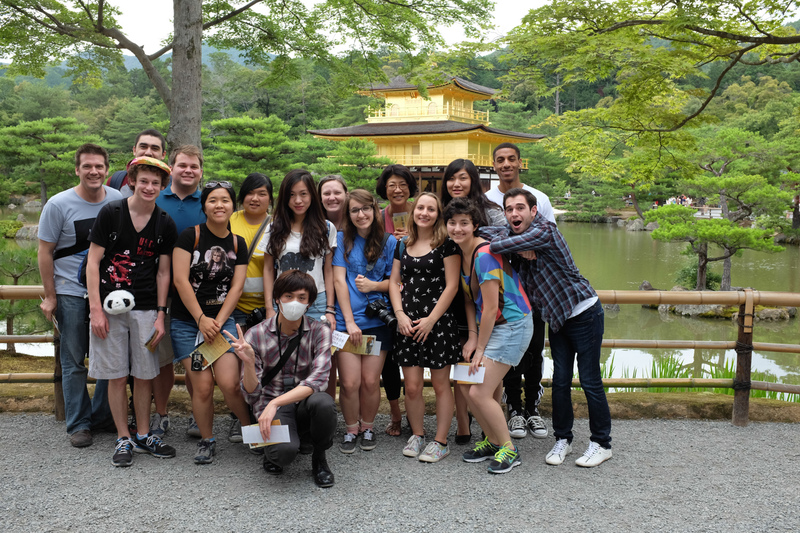 Being able to experience this traditional side of Japan in Kyoto was a great addition to our Tokyo-based trip, and the connections between the history and the modern society became much clearer.